Many times the moments we remember come upon us before we realize what is happening and are gone in an instant. 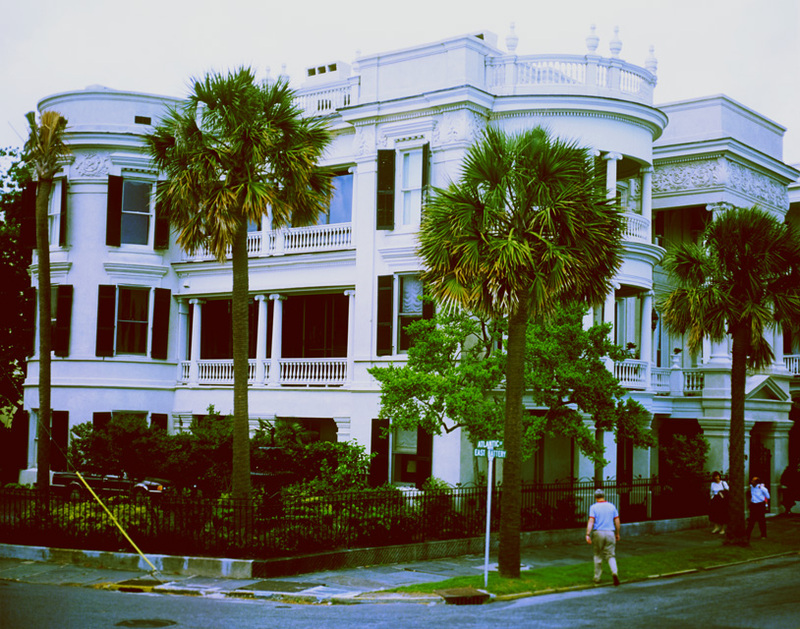 On a journey to Charleston South Carolina, I had no idea it would be a trip back in time. I should have because at that particular period in my life, everything I did was a trip back in time. The trip had been planned at the last minute,the motives were , a weeks vacation with nothing to do, a desire to go somewhere warmer than Indiana would be in April and my longing to travel. My normal plan in those days was to have no plan. Packing a few clothes, I piled in my van and away I went. Knowing nothing of Charleston and the surrounding area,whatever came about on the trip would be a total surprise. As it turned out , many surprises awaited me while in that beautiful city, the most significant , at Drayton Hall, an old plantation at the edge of town. It never occurred to me there would be old plantations in the area and when I found a brochure describing some of them, it seemed like a good idea to check them out. Middleton Place and Drayton Hall seemed to be the closest, so obviously , my van headed in that direction. Middleton Place was beautiful , it was the home of one of the signers of the Declaration of Independence and was a showcase of beauty. 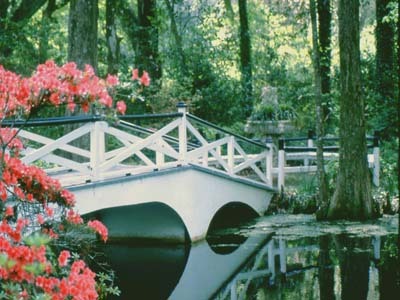 Many hours could be spent enjoying the flowers and various floral gardens on the grounds. Leaving Middleton Place , the next stop would be Drayton Hall. Compared to Middleton Place Drayton Hall seemed rather plain and simple. There were no massive gardens or beautiful lawns. Just a big brick house in the middle of a field. It almost seemed like a waste of time to stop, but I’m here so I may as well check it out. Drayton Hall has quite a history, it has survived two wars, the American Revolution and the Civil War. It was burned and the farm destroyed by union troops on Sherman’s march to the sea, two hurricanes and an earthquake also came it’s way. As I entered the house , the adventure was about to begin. As I entered, everyone else left. I had showered that morning, so that couldn’t have been the reason. All alone in the house , it seemed a little eerie to be in such a historic building all alone, imagine the stories these walls could tell. I was to be alone with my experience. Suddenly I began to hear voices as if there was a huge party in the next room. Looking around, no one was there, still the voices and noise continued. I could “see” many people milling around all wearing colonial garb. I was an observer to something that had transpired many years ago, a function during pre-civil war times, I had been present at the time,in another reality.But as yet , the details have not been revealed to me. Visiting the same site several years later with my wife, the very same scenario played out. I observed it , my wife didn’t. We have also been places where my wife has seen something and I haven’‘t, which just exemplifies that we each live our own reality, separate from others. Many times we are only given a glimpse into the past, or future and when the time is right , all will be revealed to us, this was such a time to receive a glimpse. All will be revealed in due time.